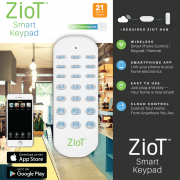 ZioT Home Automation Starter Kit includes one hub, one smart dimmable LED light bulb, one smart color changing LED bulb, one smart plug and one 21 User-defined Favorite Keypad remote control. It allows you to control your light & small appliance from your smartphone or tablet from anywhere in the world using the “iHome Kits” app (IOS and Android) or quickly from the keypad when you are at home, for unlimited users, Plug and Play with no additional labor cost or monthly fee. Bright, warm light similar to a 60W incandescent bulb with a 23 year life expectancy. 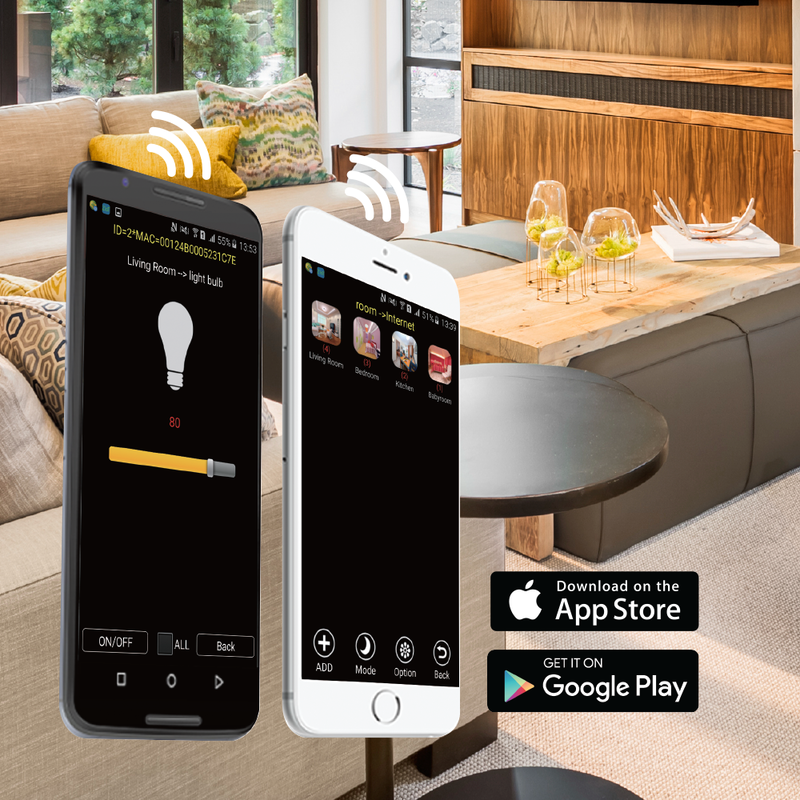 With the iHome Kits app, you can control & monitor your home from your smartphone anywhere in the world. 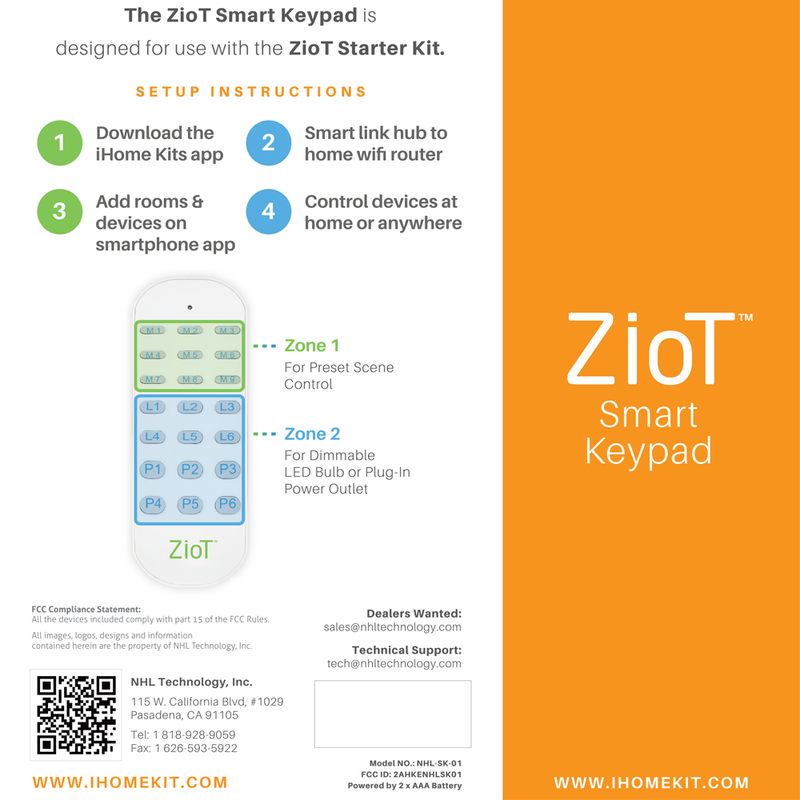 Using the keypad remote, you can simply select the pre-programmed scenes on the iHome Kits app, and control the light bulb & smart plugs individually. 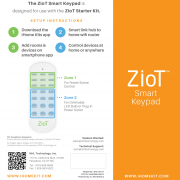 Works with Smartphones & Tablets such as IOS (8.1 or later), Android (4.0 or later). 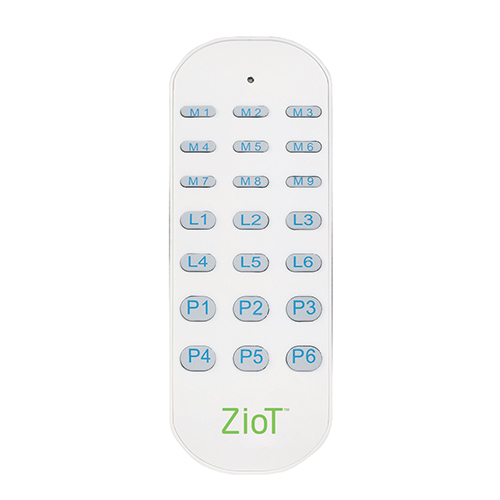 Widely used for home applications, hotel rooms, apartments, businesses and retail stores. 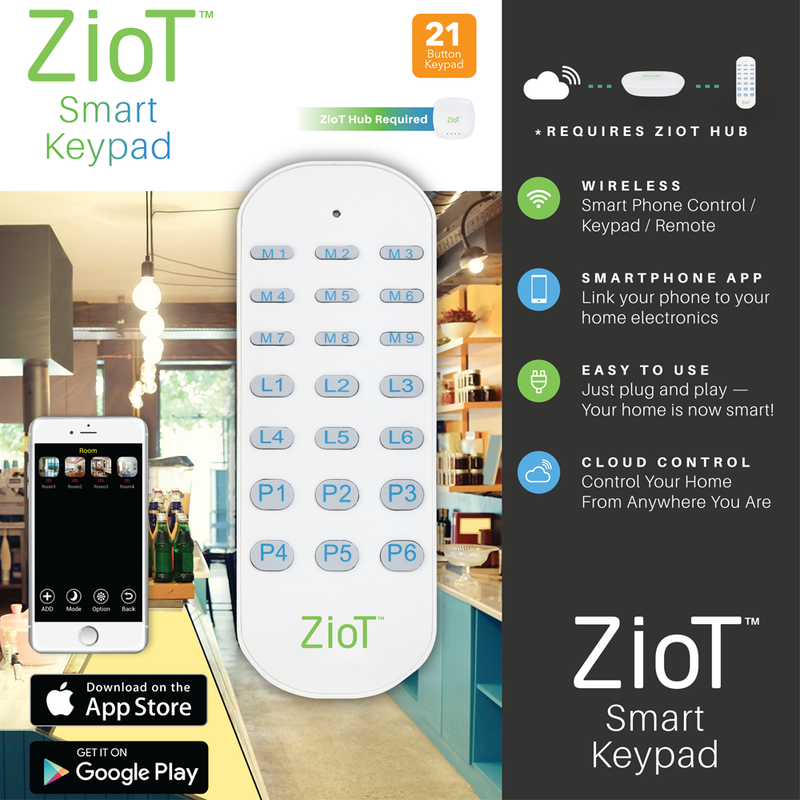 Easily add unlimited ZioT smart light bulbs or smart plugs and other devices (coming soon). Energy saving and environmentally safe design.